AREA 51 WHERE ARE YOU??? In two major cases recently the veracity of our government has been found wanting. Our government has lied to us…and has done so for years. Nope, this is not about NSA—though we have been lied to there already. This is history..but important history. In one case, the infamous Area 51, the government denied, in court, that such an area by that name, existed. This was crucial because federal employees, the governments own, were suing to get records that might prove the US had put their lives in great danger by using toxic chemicals on the job at Area 51. 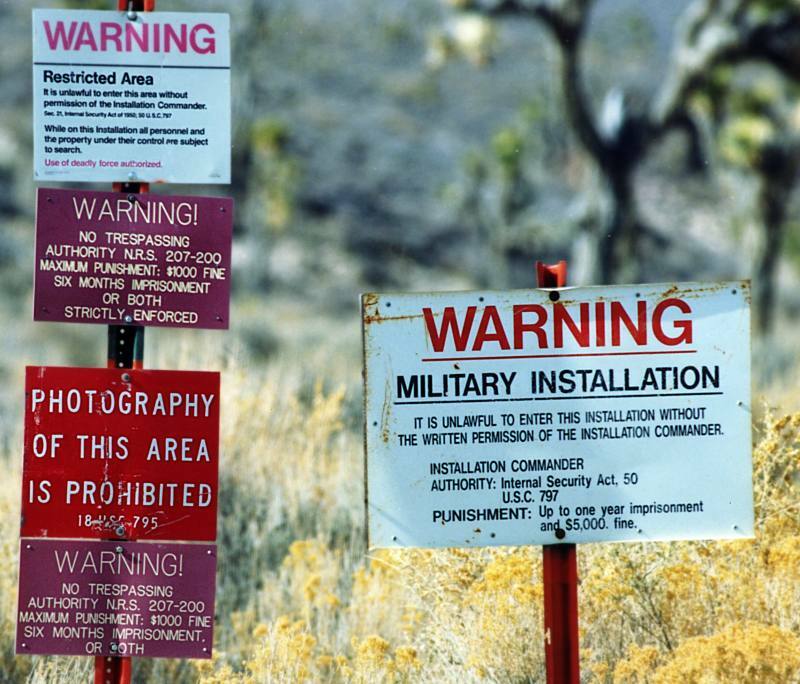 That area was a top secret Nevada test base for advanced airplanes such as the Stealth Fighter and the B-2 bombers. It’s understandable why the government would want to keep this a secret. But “No comment” is one thing; denying it to a judge is quite another. And especially after Russia published satellite pictures of Area 51, offering them for sale to anyone. Still the denials continued. When the employees’ lawyer offered to take the judge to a mountaintop nearby and show him Area 51 in the distance, the US bought the mountain, with your money, and put it off limits. In the second case, the CIA has ‘fessed up…as almost everyone suspected. 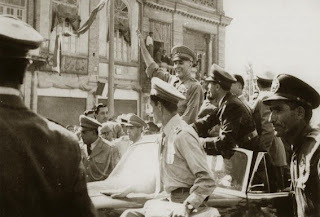 It illegally conspired to overthrow the democratically elected government of Iran in 1953, because the new prime minister was going to nationalize its oil industry, then owned..not by American firms, but by the British. Small wonder when Iran citizens revolted later against the Shah, (who sided with the CIA against the new PM) it was our embassy The revolution seized, and held our staff hostage---remember. And can you see why Iran now has little trust in the U-S when we take part in an international inspection of charges its nuclear industry is not to generate power, but to generate weapons? That bad decision of 1953 has come home to roost in what could be an even more important crisis. Atomic. The CIA lied about its role to Congress and the American people for years..but, as with Area 51, was made to tell the truth by journalists and academic institutions seeking, and finally getting the records needed. Let me add those committees in Congress who were charged with overseeing Iran and Area 51 didn’t find out the truth and tell us. They didn’t do their job, as they haven’t in the NSA situation. Checking the news each day from Egypt I would say to myself “It can’t get any worse”, but it always did. There are many reasons for this tragic state of affairs, but one factor is U-S foreign policy, and in that you and I are culpable. We, and our country, have blood on our hands. For years the U-S has supported an “even handed” approach in the Middle East..support for Israel, support for Arab states, too—a policy I support. Israel gets more foreign aid from us than any nation; Egypt is second—about $2 Billion a year. (That would pave a lot of roads, help build a lot of schools, support many health programs throughout America, but I think foreign aid is a defensible policy). 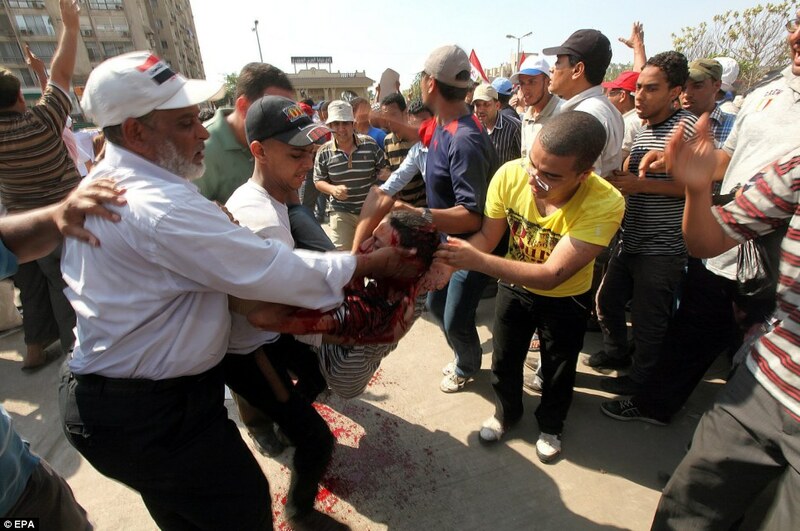 Less so in Egypt in recent years than before. Too much of our aid goes to military weapons, since Egypt has sworn off attacking Israel. Too much of that goes to the military caste, including fraud and kickbacks galore. Most people don’t realize Egypt’s military owns about a third of the civilian economy—(plants and factories and the like), with the “profits” going not to the “general fund” but back to the military. This makes them the single most powerful group in the land. U-S policy has not helped, over the years, to democratize Egypt---so when Mubarak was overthrown, the U-S (and a lot of us) hoped for a new day. It didn’t work out that way. The military continued to pull the strings, and when the Muslim Brotherhood’s Morsi won the first ever democratic election, and then screwed up his ruling, the military pounced. Despite our law to the contrary, the U-S declared this coup was not a coup---which it was--- hoping the military would see the light. Again, it didn’t work out that way. Secretary of State John Kerry, himself a veteran and opponent of ‘Nam, where the U-S supported another military dictatorship, declared it “wasn’t a military takeover.” Wrong again..and with each U-S decision, flouting our own laws and traditions, the body count rose in the streets of Cairo, Alexandria, and Port Said. It rose in large part because the military is using weapons we paid for, supplied and built for Egypt’s defense against its own people. 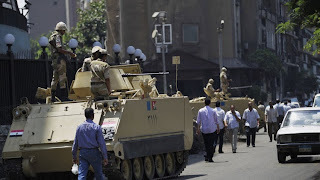 See those sand-colored APCs—armored personnel carriers..lined up along Cairo streets? I know them well; I helped break the story when the U-S sank hundreds of millions into an old plant in West Virginia to make them for the war in Vietnam, where they became the troops’ vehicle of choice. Our policy, well meaning or not, has failed. Our government has ignored our own laws; its attempts to get the military to end its repressive measures has failed….and the body count goes higher and higher. (And Egypt is a simple matter compared to Syria)! In a democratic country we elect the people who make our laws (and ignore them), who set our foreign policy—for good or ill. And when our officials fail us, we the people are also responsible. Uncle Sam has blood on his hands..and so do every one of us. #1---Senator McConnell’s campaign manager…the TOP man in his re-election campaign..is “holding his nose” about Mitch’s candidacy. 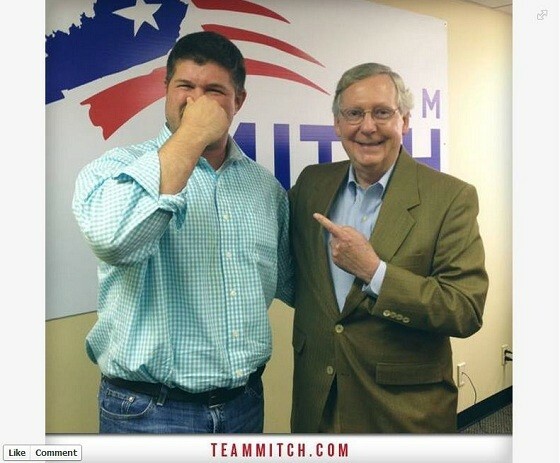 This is going to hurt our senior senator, how much I don’t know..but all the “funny” pictures in the world..of the two of them holding their noses together, won’t help. This is a serious matter and I expect it to be used over and over again by both GOP and Democratic opponents. It’s far more serious that the senator’s leaving very early in the Fancy Farm doings--- and taking 5 bus loads of supporters with him. That certainly didn’t help support other Republican candidates there, especially Agriculture Comm. Comer, who may be the party’s top nod for governor. #2---Gov. 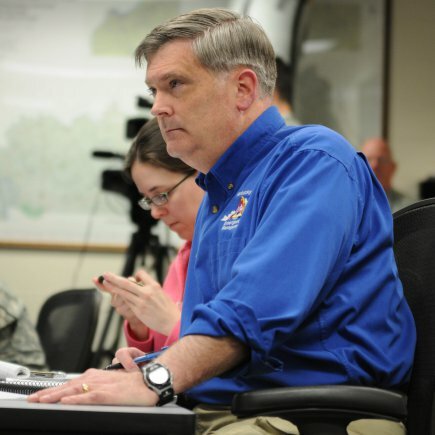 Beshear acted correctly, if a bit late, is forcing out the head of the state emergency management agency, John Heltzel, after an auditor's report showed both extravagant spending on “entertainment”…and, what was worse, an attempt to cover it up by intimidating state employees. But it’s also against the law for vendors to the state, in the major case here, the Galt House in Louisville, to change its invoices to make the agency’s books seem correct. I hope the attorney-general or other appropriate official will also pursue a probe and possible indictments against the civilian vendors as well. It takes two to tango with taxpayers’ money here. 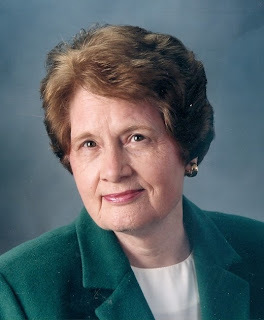 #3---May I add my personal regrets on the passing of former Lexington vice-mayor Ann Ross, one of the nicest politicians I ever covered. Lexington’s city elections are non-partisan, but Ann was a Republican, as we all knew. She was knowledgeable, articulate, and gracious. She would debate the issues with you but never raise her voice. If there were more politicians like Ann Ross both of our Old Parties would be Grand. WHAT WOULD MR. LINCOLN THINK??? 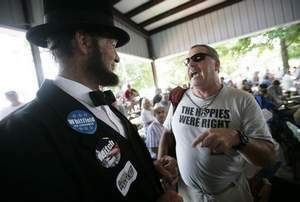 And yet, watching Fancy Farm over the weekend on KET, where the modern descendants of Mr. Lincoln’s party (and Tom Jefferson’s) comported themselves, I suspect our 16th president would have wept. Here were grown men and women, many bused in for the occasion, yelling and screaming, all designed to drown out the views of another person with whom they disagreed. Un-Democratic in the extreme…and un-Republican, too. Lincoln and, at the time, the much better known, Stephen Douglas debated the issues of the day, especially Slavery, in 7 debates in a state not so far away, Illinois. Many were outdoors, like Fancy Farm. Many were at night, the area lit by giant torches. From the platform they spoke..with no public address system to carry their voices and their arguments. Can you imagine what it would have meant to these two men..and to the idea of our democracy,---and History--- had there been the din we witnessed at Fancy Farm? It is possible to disagree without being disagreeable. That line has been crossed at Fancy Farm many times, and I have heard worse..but that does not mean it was right. Something needs to be done by the organizers to restore sanity---and common courtesy---to what is a great Kentucky (and American) tradition. Steps were taken some time back when portable bullhorns were banned, and other noisemakers. (The Bevin supporters violated this rule by ringing bells, but that was but a minor distraction). After all why are we there? To hear from candidates for public office, some quite important (including even a possible President down the line..) Hear them out, then disagree. The organizers must try to get a handle on this before next year. After all, Mr. Lincoln was a Kentuckian. Let us continue this proud tradition as he would have us do so.